Iron Fist: Dude, we gotta get Luke out of there. He's being really chill about it, but I know being locked up is driving him crazy. Daredevil: It's still risky, but let's try to free him. Time's running out, and we can't beat Kingpin without him. Daredevil: I thought that was you and Luke's thing? Iron Fist: It's a special occasion, man! You can never have too many fist bumps! Iron Fist: Sorry it took so long, man. Luke Cage: It's alright. We're back now. Let's go find Jess and get rid of Kingpin. Iron Fist: And fist bump. Luke Cage: But of course. Luke Cage: Is this a paying gig? 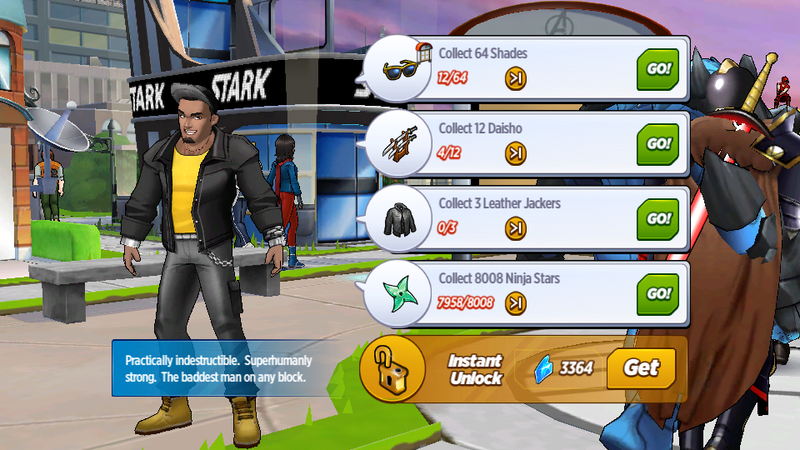 Luke Cage: I'm sure Fury can spare a few bucks. Daredevil: I'm sure you're right. I'll see what Pepper says. 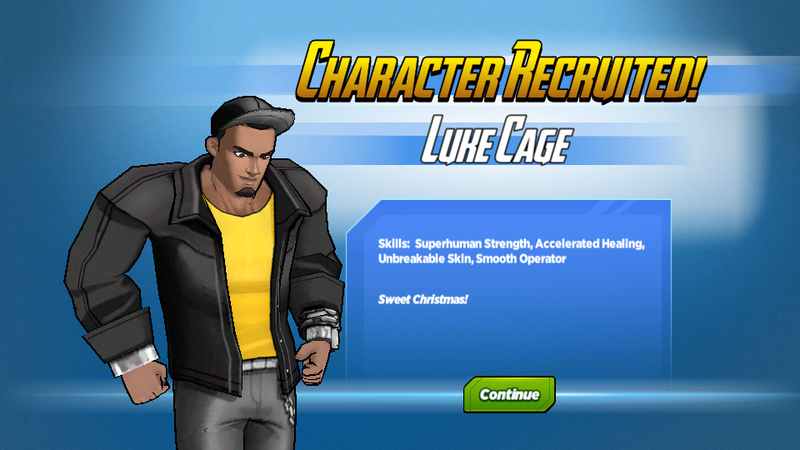 Luke Cage: I missed you. Jessica Jones: I missed you too. Luke Cage: You did?! I mean, I'm not surprised you did, I'm just surprised you admitted it. Jessica Jones: Yeah, I don't know what happened. It just came out. Pepper Potts: Welcome to Avengers Academy, Luke! Iron Fist can't stop raving about you, and Jessica Jones says you're pretty okay. What do you do? Pepper Potts: I meant, what are your powers? Pepper Potts: That's power, man. Luke Cage: Have you been hanging out with Iron Fist? Pepper Potts: We have the same yoga class. Hellcat: Are you ready to fight? Luke Cage: Always. But I do need to stretch after being in that cell. Hellcat: Let's go to the park! I'll do some flips, and you can throw something impossibly heavy! Hellcat: Oh, I was actually talking about how I got a head rush from all that flipping. Luke Cage: I was thinking about getting a job on campus to make some extra cash. Who serves the food and drinks around here? What do you think of Luke Cage? Were you able to recruit him to your Academy?